Mixing a modern love story with fact-based historical drama, Love, Genius and a Walk continues its London pub theatre tour in October with dates at the Drayton Arms and Etcetera Theatre. Directed by Holly Payne-Strange and written by award-winning author and playwright Gay Walley, this new play examines the story of Gustav Mahler, his wife Alma, and how stories like theirs affect the world today. Gustav Mahler, a great artist, is devoted only to his work; his wife Alma, has issues of her own. In despair, Mahler goes to see Freud, and they discuss love and sabotage – and both men know well how the responsibilities of genius weigh. Contiguously, a modern couple, a banker and his wife (who is writing about Mahler), mirror Alma and Mahler, and the two stories twist and turn through the quagmires of love and genius. Love, Genius and a Walk was nominated for 6 prizes, including best play, at the Midtown International Festival in New York, and is brought to the stage by an all-female creative team, with producer and director returning to the UK after emigrating to America 22 years ago! 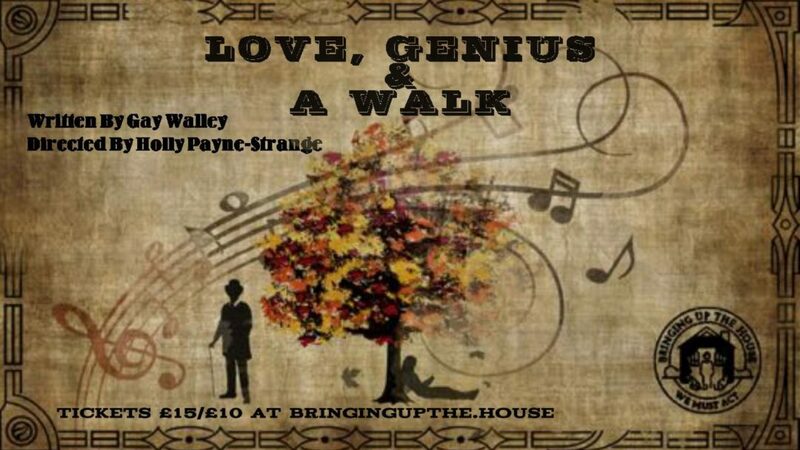 Love, Genius and a Walk is at The Drayton Arms 7th – 8th October and The Etcetera Theatre 12th – 14th October.